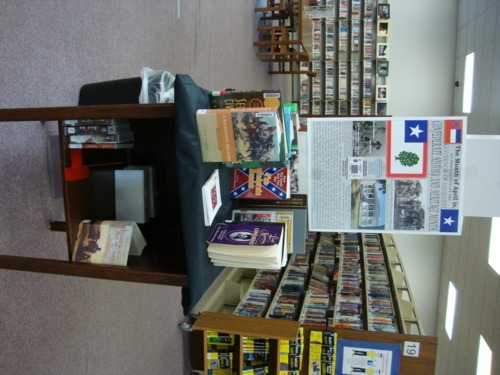 As today is the final day of April, Confederate History/Heritage Month has come to a close. During this month, we strove to inform folks about the true causes of the War Between the States (not slavery! 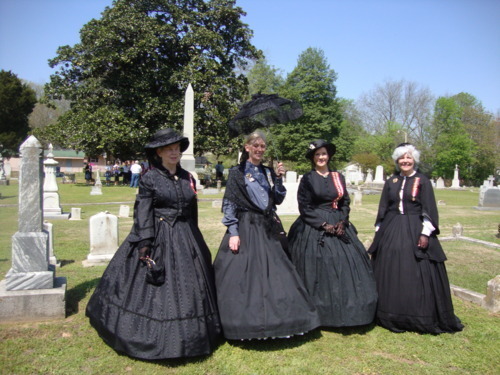 ), to provide living history demonstrations, to honor Confederate ancestors, and to bring positive attention to the Confederacy and those who fought for the cause. For the next year, all of us involved should continue to work toward educating, enlightening, and entertaining people about the Civil War, and specifically, the Confederacy. This must take place nationwide, and not just in the South. 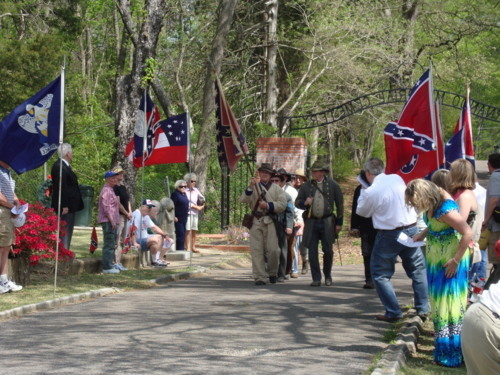 Southern states celebrate Confederate Memorial Day during the past few days of April, which varies from state to state. 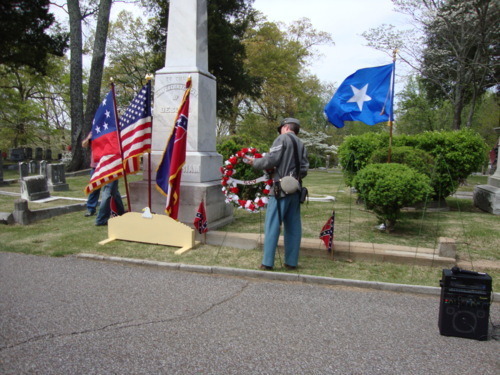 In Mississippi, yesterday was the designated day of remembrance for ancestors who fought for the South in the War Between the States. 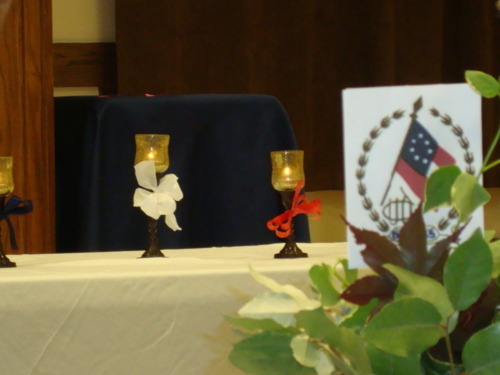 To mark the occasion, a local chapter of the United Daughters of the Confederacy, the Varina Howell Davis Chapter $2559, held a special candlelight vigil. Members were asked to bring pictures of their Confederate ancestors, which were very interesting. 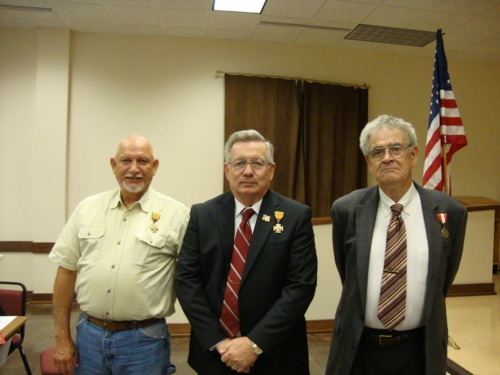 Three men were also honored during the evening in an Award of Military Service ceremony. They received special pins commemorating their call to duty during wartime (two for WWII and one for Korea). A member of the UDC chapter also received a certificate for becoming a member of the great-great-granddaughter’s club. 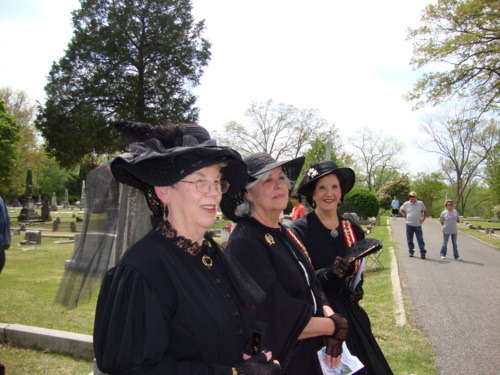 On Sunday, April 10, the Samuel A.Hughey Camp #1452 Sons of Confederate Veterans held a memorial service at the cemetery in Hernando, Mississippi. This is an annual event that incorporates other local camps and the Varina Howell Davis Chapter #2559 United Daughters of the Confederacy as well. The ceremony began with a soldiers’ march. The speaker was a pastor who spoke about how pastors during the war dealt with the invading Federals, and how the Yankees desecrated Southern churches by using them as stables. The infantrymen fired a salute, including cannonade. Wreaths of remembrance were placed in front of the memorial statue, which is the second oldest in the state. The event was attended by spectators and filmed by the tourism board. Following the ceremony, the SCV sponsored a BBQ, which was held across the street at the park and was open to the public. The weather was very warm, but a strong breeze offered relief. The first bloodshed of the Civil War took place a week after Union-occupied Ft. Sumter was fired upon by Confederate forces. Subsequently, Virginia voted to secede, and President Lincoln called for 75,000 additional troops. As the Sixth Massachusetts Regiment traveled through Baltimore on their way to Washington D.C., an altercation occurred – four soldiers and 34 civilians were killed in the riot. This weekend, Baltimore will commemorate the Pratt Street Riot with a procession on Pratt Street, a living history demonstration, the grand re-opening of President Street Station, a symposium hosted by the National Park Service, and candlelight tours at Fort McHenry. The city also plans other events throughout the year. These include special events in regard to President Lincoln’s arrival to the city by train. The B&O Railroad Museum will have the largest collection of Civil War railroad equipment in the world on display. Live performances, music, and exhibits of memorabilia and artifacts will take place as well. Today marks the anniversary of the assassination of President Abraham Lincoln. The event was so shocking that this country still feels the repercussions from it. So much controversy swirled around for years following the assassination that many still wonder about details concerning the president’s murder. Many people were involved in the assassination, headed by John Wilkes Booth, that took place only days after the Civil War ended. Some conspirators paid for their involvement with their lives, others were sentenced to life terms in prison, and some went free. All were effected in some way. Mary Surratt was the first woman to be hung in this country. 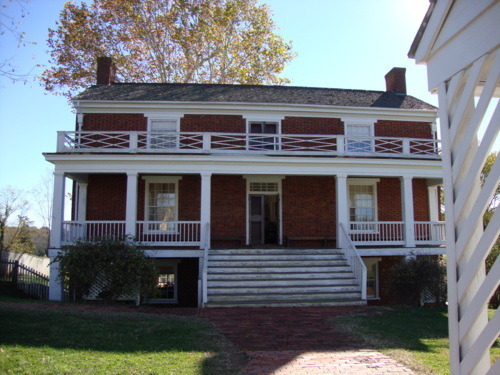 She ran the boarding house where Booth and other men involved were living. Some think she was a scapegoat. A new movie will be released this Friday, entitled “The Conspirator.” Directed by Robert Redford, it tells the story of this horribly tragic event. Today marks the 150th anniversary of what I consider to be the official start of the Civil War, when Confederate troops fired the first shots of the war on Ft. Sumter in Charleston Harbor. There were no casualties, and the Confederates succeeded in “capturing” the fort. As the war progressed, each battle became bloodier than the last. Many thought the conflict would only last ninety days, and the Confederates were certain that, if they applied enough pressure, Lincoln would grant their request to become a separate nation. Instead, he called for more troops. This month has officially been declared Confederate History/Heritage Month by many states, including Mississippi. April was an eventful month in the War Between the States. These included the firing upon Ft. Sumter, Lincoln’s assassination, General Lee’s surrender, the Battle of Shiloh, the Battle of South Mills, and the surrender of New Orleans. Thankfully, the government managed to resolve its differences and come up with a budget just under the wire, barely making the deadline. What this means is that special anniversary events that were slated for this weekend will progress as planned, including a reenactment at Shiloh National Military Park and a special event at Ft. Sumter to mark the anniversary of the start of the Civil War.This event is planned for next Tuesday. Another significant event that happened on April 9, 1865 was the surrender of General Robert E. Lee’s Confederate army to General Grant. Although this event was terribly sad for the Confederacy, but happy for the Union, we all have a reason to celebrate. The weather should be nice this weekend, and now we can all enjoy these national treasures, thanks to our hard working representatives. 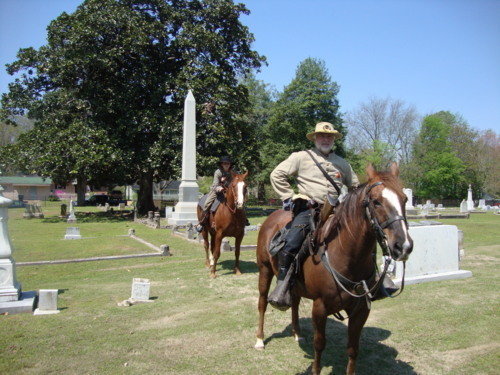 The next two days, April 6 and 7, mark the 149th anniversary of the Battle of Shiloh. 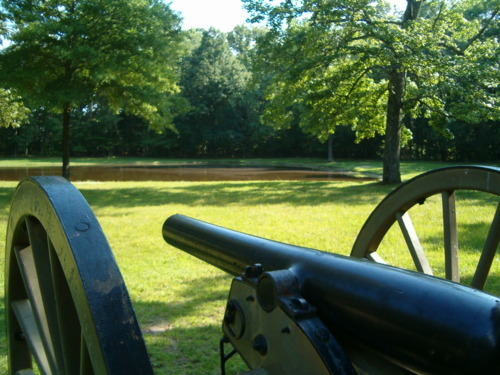 The battle took place on the banks of the Tennessee River, and near a small country church named Shiloh, which means “place of peace” in Hebrew. In two days of battle, the Confederate army sustained more than 10,500 casualties, while Union casualties exceeded 13,000. At that point in time, it was the bloodiest battle of the war. The first Confederate general to die in the War Between the States, General Albert Sidney Johnston, did so during the first day of battle when he bled out from a wound to his femoral artery while retaining command on his horse. General Grant was driven back to Pittsburgh Landing, but General Beauregard, who took command after Johnston’s demise, failed to attack him, so the Union general managed to join forces with General Buell. The increased size of the Union army gave them the advantage to pursue the Rebels further south into Mississippi. Special locations within the park include the National Cemetery, the Confederate mass grave sites, the enormous monuments, and Pittsburgh Landing on the Tennessee River. The peach orchard has been replanted to replicate the original, and Bloody Pond still emits a strange, reddish coloration, but strangely, supports wildlife. An original cabin (although not one that was there during the actual battle) is near the orchard, and a reproduction of Shiloh Church stands on the site of the original church. Up until fairly recently, treasure hunters were allowed into the park to dig for artifacts. The battlefield is a fascinating, albeit eerie reminder of what occurred 149 years ago. 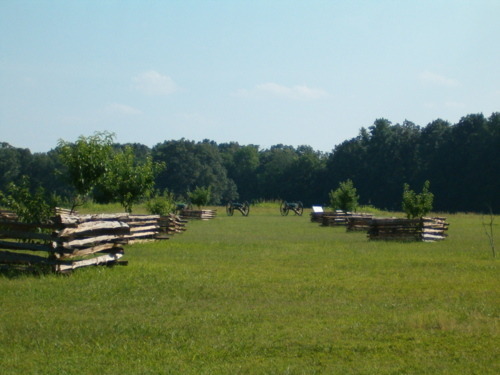 This weekend, reenactors will converge on the park to demonstrate what the battle was like. 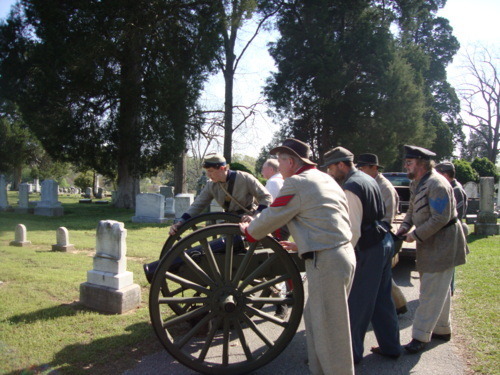 Participants will include cavalry, infantry, artillery, and hospital reenactors. The event will be filmed, and (hallelujah) the recording will replace the ancient film that is now being shown in the park’s museum.